Trust the Clintons to always give priority to profit over ethics at every opportunity they get. 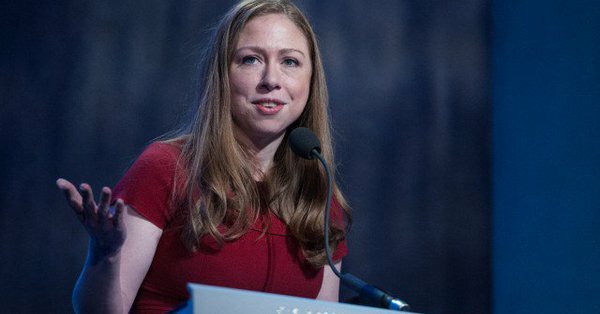 And the apple cannot fall far from the tree indeed as Chelsea Clinton, daughter of Bill and Hillary Clinton, also “exemplifies” such pragmatic view and practice of her parents. Chelsea applauded abortion by claiming that the Roe v. Wade decision has given three and a half trillion dollars to the economy as if to say the money earned justifies the killing of innocent babies. The former presidential daughter expressed her opinions during a speech she gave at “Rise Up for Roe.” The event was meant to express feminist displeasure with the nomination of Brett Kavanaugh to the United States Supreme Court. Brett Kavanaugh is President Donald Trump's pick to replace retiring Justice Anthony Kennedy. Clinton mentioned in her speech that “American women entering the labor force from 1973 to 2009 added three and a half trillion dollar to our economy”, without citing credible sources, anyway. What Chelsea really means is that she believes that if people can’t be convinced that it’s okay to murder babies by appealing to “dignity” and “choice”, an appeal to economic should suffice. Take her in to watch an abortion taking place and then let's hear what she has to say! She has lost her mind..whacko! Chelsea is the only baby to ever survive abortion. WOW! 3.5 Trillion… Wonder what GOD thinks of that. YEAH, 3.5 TRILL TO ECONOMY, AND 15 TRILL TO THE 1%'ERS THROUGH FUND RAISING DINNERS. THOSE $100,000 PLATES OF PURE EVIL ARE A DELICACY FOR THE DINGOS. we care about lives not the money! what a POS! Everything is about money right? Greed is the root of all evil! Who knows what just one of those babies might have contributed to society? Money is nothing compared to a human life! Not trying to brag but I majored in calculus and mathematics. She must have used a common core formula because applying trillions saved due to aborting killing around 52 million little persons is the result of a dense and indifferent individual. The number of destroyed little persons equals genocide.